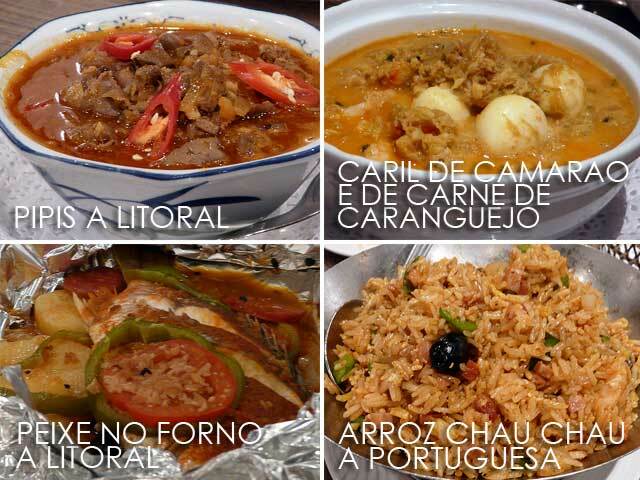 Have you ever tried Macanese cuisine? We all know Macau is very much Chinese. But with hundreds of years under Portuguese rule, Macau has developed a distinct cuisine that it can call its own. 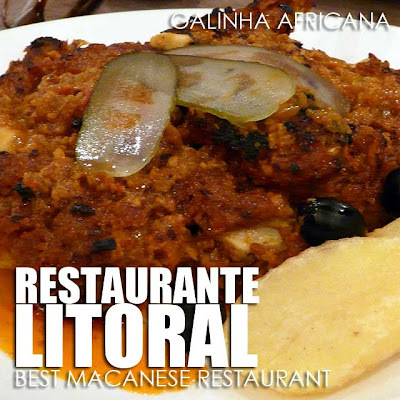 And the best place to savor genuine Macanese cuisine is at Restaurante Litoral. It's a really cozy restaurant very close to the A-Ma Temple. We were served a bevy of Macanese dishes from such as Chamussa (curry beef cakes) MOP60 which is quite similar to the samosa from India where Portugal also had territories, Vinagrete de Lulas (squid with vinegar) MOP80 which is like kilawin, Croquetes de Carne (meat rolls) MOP60, Pipis a Litoral (chicken giblets a Litoral) MOP68 which is best eaten with bread dipped in its flavorful sauce, Peixe no Forno a Litoral (baked fresh fish) MOP148, and Caril de Camarao e Carne de Caranguejo (curry shrimp with crab meat) MOP158. 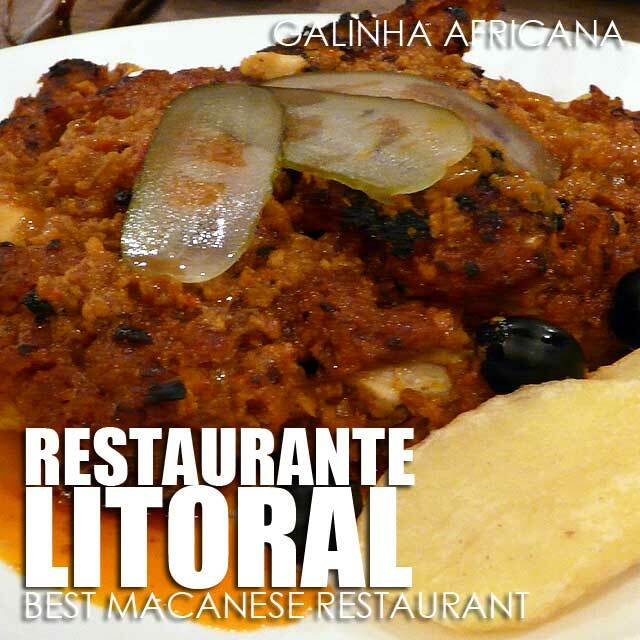 The highlight of the lunch was the Galinha Africana (African chicken) MOP180 which was really good. I just kept on nibbling on the juicy and spicy pieces of chicken. We had a dessert overload after lunch. They let us try the Mousse de Chocolate (chocolate mousse), Bebinca de Leite (coconut milk custard) which was my favorite, Pudim de Ovos (egg pudding), Gelatina de Coco (coconut gelatine), Pudim de Manga (manggo pudding), Serradura Biscuit Mousse Molotov (egg yolk souffle), and Pudim de Cafe (coffee pudding). It is portuguese food with chinese sauces, does not work, when we (a group of portuguese people) tried it we had to go to another restaurant to have a proper meal. We tried 5 or 6 dishes.. Fusion of South/East Asian food with European cuisine almost faills everyime. Hi Joao, fusion dishes happen everywhere, especially in our global kitchens. 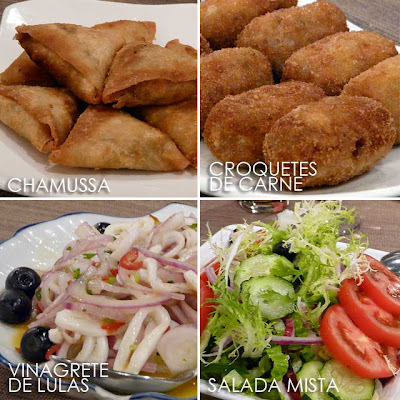 But if you're looking for traditional Portuguese cuisine, I agree that you'll have to go to another restaurant since they serve "creole" food if that's a way to describe it. 3rd time here, first 2 times nothing special, although a little overpriced, understandable since is targeting tourists mainly.